We have had many international artists visit us over the years. We are the only organization in Nepal bringing in people from abroad to speed up the growth of the music scene here. We had more than two dozen artists visit us in 2016 alone. 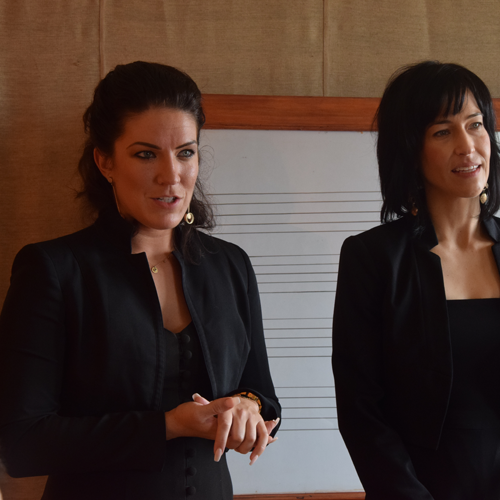 Jennifer Heemstra, who is a professional pianist and Chelsea Coyne, a professional Soprano singer visited us this year, courtesy of the United States Embassy in Nepal. They both graduated from the Cleveland Institute of Music in the USA and were extremely adept at what they do. We had our students play for them and they guided them through 10-minute intensive sessions giving them feedback on the material they had developed in our school. Jennifer and Chelsea have been travelling the world, doing many projects in Kolkata, India when they decided to visit Nepal as part of their social projects to meet with school groups, theatre groups and arts foundations. Check out the international faculty coming soon to KJC here!